Notwithstanding anything contained in the Foreigners' (Exemption) Order, 1957 dated 9.1.1957 no foreigner or group of foreigners shall climb or attempt to climb any mountain peak in India without obtaining the prior permission in writing of the Central Government on an application made in that behalf through the Indian Mountaineering Foundation and without complying with such conditions, including specification of route to be followed, accompaniment by a Liaison Officer, use of photographic and wireless communication equipment as may be laid down in this behalf. If any person contravenes the provisions of this Act or of any order made thereunder, or any direction given in pursuance of this act or such order, he shall be punished with punishment for a term which may extend to five years and shall be liable to fine, and if such person has entered into a bond in pursuance of clause (f) of sub-Section (2) of section 3, his bond shall be forfeited, and any person bound thereby shall pay the penalty thereof, or show cause to the satisfaction of the convicting court why such penalty should not be paid. All expedition teams are advised to plan their expeditions in such a manner that the schedule or route is not changed and leader/members are not added or substituted at a later date. It may be noted that any change in the schedule or route and addition/substitution would entail a further delay of up to one month in issuing permits. However, deletion of names from planned list does not pose any problem, hence the need for keeping adequate number of reserves is emphasized. The Himalayas is one of the youngest mountain range in the world & is a dream of a every single mountaineer. Our idea to provide you a best support till base camp with the entire requirement including Cook, Kitchen Staff, Mules/Porters, basic Food. We handle the expeditions in different region of Himalaya like Sikkim, the massive Kanchenjunga (8585m), Garhwal, the highest mountain situated 100% in India Nanda Devi (7835 m), Trisul, Kamet & Abi Gamin, Satopanth, Kedar Dome, Shivling, Bhagirathi I, II, III, Meru, Neelkanth & maye more. In Zanskar Nun & Kun is more than 7000m & many other peaks around different Mountain range in India. 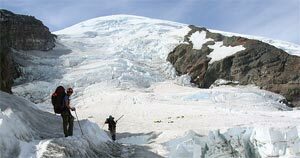 Expedition can be arranged according to your wishes with our qualified professional. 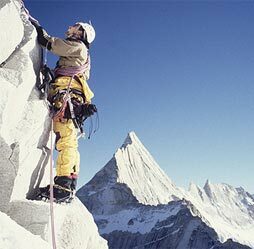 We have compiled a list of mountain and rock climbing vacations in India. If you are interested in any of these vacation packages, please contact the operator directly with any questions for ordering free brochures or booking.